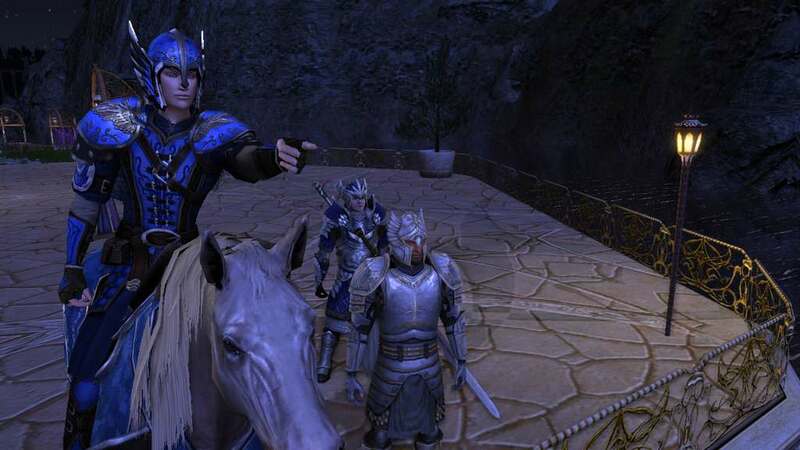 The alliance between elves and mens of the west and a true friendship. 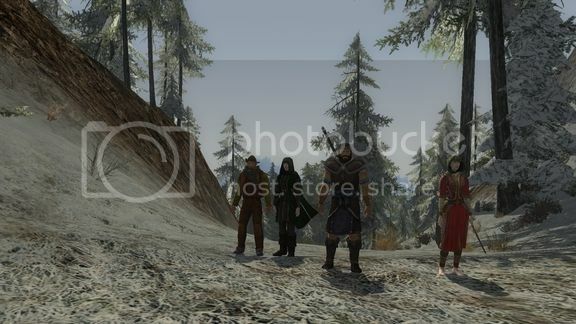 Mujox of Lindon and Argohald of Gondor an elf and a man ready to enter in the barren lands of Mordor!!!! Last edited by Aleziana; Aug 01 2017 at 10:38 AM. 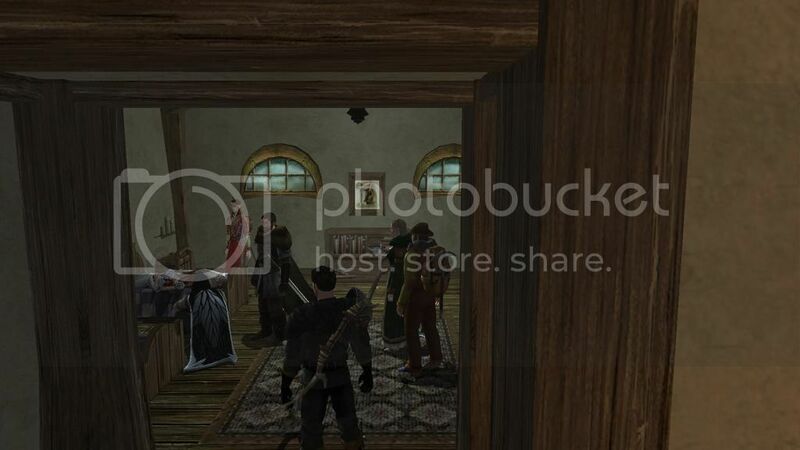 Anyone who's on Laurelin (or just interested in Laurelin RP) can find a multitude of RPing screenshots (and other player/character art) on the Laurelin Archives website (laurelinarchives.org)! It's a truly awesome site. 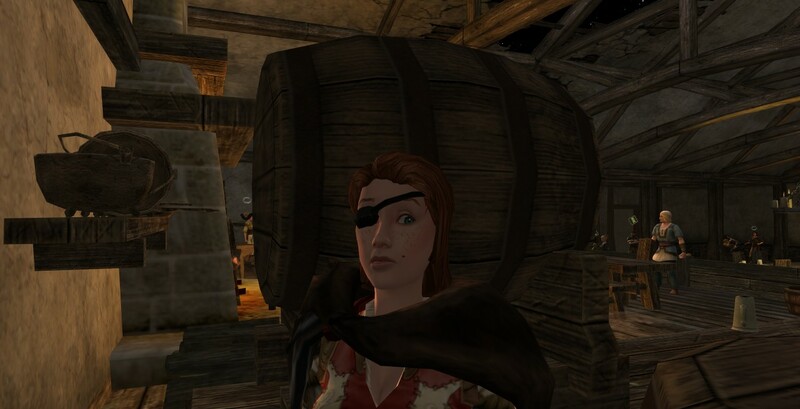 I pulled this one from my character's gallery there. A wounded hobbit lays on the bed after a mysterious attack, with concerned friends and onlookers gathered around. 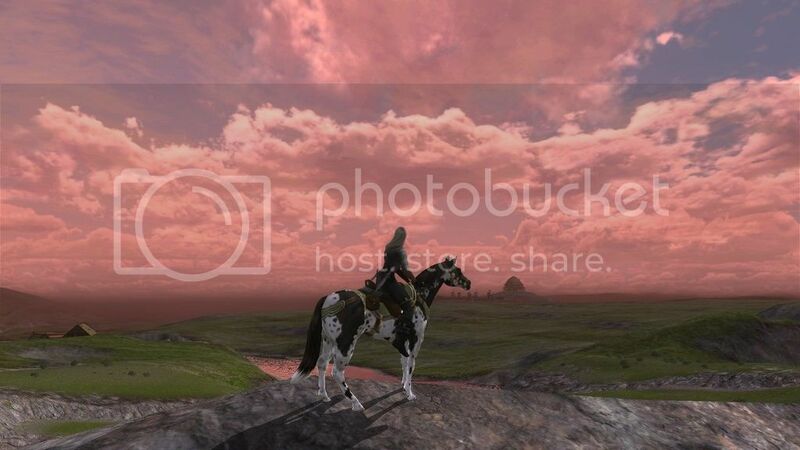 Brynleigh and her beloved steed, Jack, in the days before she left her homeland, pausing for a glance towards Edoras. Terryn Foxtail of Arkenstone... that awkward moment when all you can say is "oops". 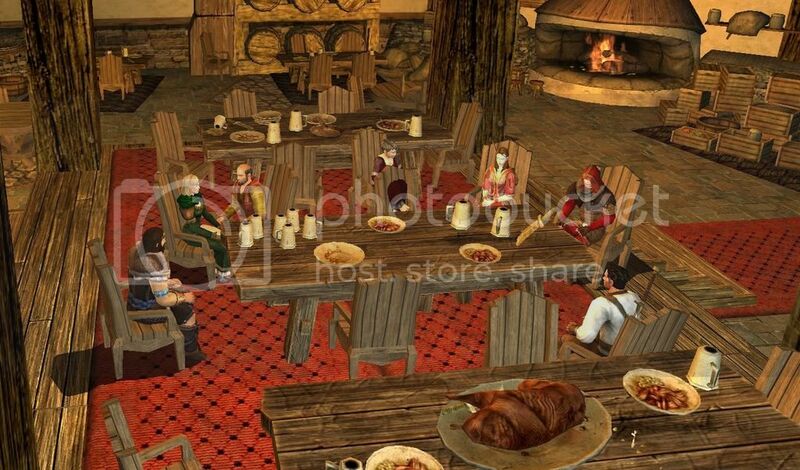 Enjoying some food, firelight, and friends, in the Bree Mess Hall! Arwen wanted something to see...i guess its Aragorn but my orb got sauron's eye attention very fast and i fell down after a few seconds. My fellow elf hunter managed to control his orb but he only saw clouds and mist . 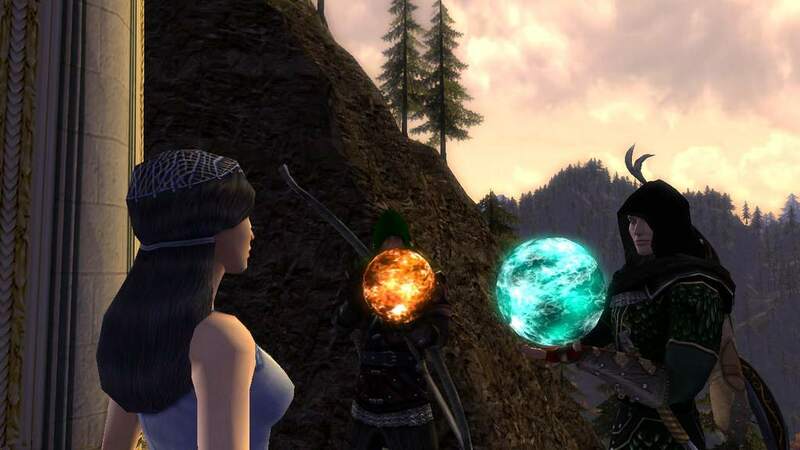 I don't want to see through this orb ever again its more dangerous than fighting orcs in the night :S .
I'm realizing that I have entirely too many RPing screenshots (hundreds!). A tragic day. The exiled Aallan Scarlet returns to Bree to try and clear his name, and though he is successfully pardoned, he receives a vicious flogging in lieu of a death sentence. Bryn, her husband, and others look on. Narys the huntress, pondering the sorrows of life while trying to keep her little campfire alive under a brooding, rainy sky in the Northern Bree-fields.